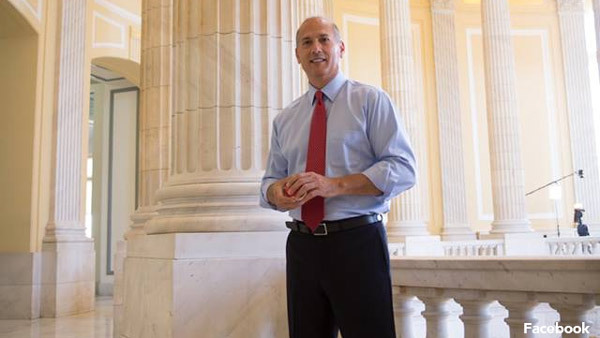 WASHINGTON -- Rep. Tom Marino, President Donald Trump's nominee to be the nation's drug czar, is withdrawing from consideration following reports that he played a key role in weakening the federal government's authority to stop companies from distributing opioids. Marino "has informed me that he is withdrawing his name from consideration as drug czar," Trump tweeted Tuesday. "Tom is a fine man and a great Congressman!" Trump's announcement comes a day after the president raised the possibility of nixing the nomination following reports by The Washington Post and CBS News. The reports detailed the Pennsylvania lawmaker's involvement in crafting a 2016 law, signed by President Barack Obama, that weakened the Drug Enforcement Administration's authority to curb opioid distribution. Trump told reporters during a news conference in the White House Rose Garden on Monday that he will look "very closely" at the news reports. He added: "If I think it's 1 percent negative to doing what we want to do, I will make a change," he said. Democrats had called on Trump to withdraw the nomination. Marino could not immediately be reached for comment Tuesday. Democratic Sen. Joe Manchin, whose home state of West Virginia has been among the hardest-hit by the opioid epidemic, said he was horrified at the accounts of the 2016 law and Marino's role in it. Manchin scolded the Obama administration for failing to "sound the alarm on how harmful that bill would be for our efforts to effectively fight the opioid epidemic," which kills an estimated 142 people a day nationwide. The Post reported Sunday that the drug industry worked behind the scenes with lobbyists and key members of Congress, including Marino, pouring more than a million dollars into their election campaigns. The major drug distributors prevailed upon the Drug Enforcement Administration and the Justice Department to agree to the industry-friendly law, which undermined efforts to restrict the flow of pain pills that have led to tens of thousands of deaths. Sen. Orrin Hatch, R-Utah, the bill's lead Senate sponsor, defended the measure Monday, calling allegations that he or Marino "conspired" with drug companies "utterly ridiculous." Hatch, a 40-year veteran of the Senate, said he was "no patsy" of the drug industry. A White House commission convened by Trump and led by New Jersey Gov. Chris Christie has called on Trump to declare a national emergency to help deal with the growing opioid crisis. An initial report from the commission in July noted that the approximate 142 deaths each day from drug overdoses mean the death toll is "equal to September 11th every three weeks." Sen. Claire McCaskill, D-Mo., said Monday she will introduce legislation to repeal the 2016 law."